In April 1919, a general strike shook Limerick to its core. The British Army put tanks on the streets of Limerick and machine guns on the bridges, but the workers refused to break. Our guest in The Tortoise Shack is Solidarity Councillor for Limerick City and creator of Bottom Dog – The Story of the Limerick Soviet and he tells us the story behind this little known, but important part, of Irish history. We discuss the reasons why the strike was called and what lessons we can learn from history when looking at the current crises facing our Republic today. 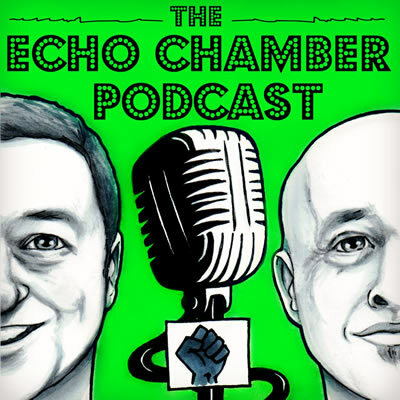 Posted in podcast and tagged Echo Chamber, The Echo Chamber. $6.00 Patrons get a heads up, whenever possible, about upcoming guests and live events. You can DM/Message hosts with questions. In addition to all that comes with The Member’s Lounge package we will shout you out on a podcast, we might even read you a little dedication! In addition to all that comes with The Show Runner’s package you will get a free ticket before they even go out on sale, just for you, to a live pod. To be eligible you’ll need to be a $10 patron for at least 3 months.